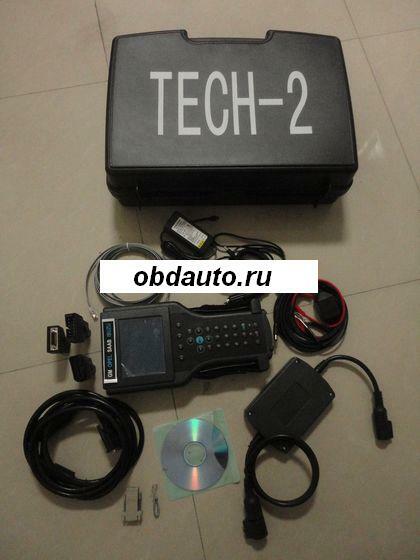 GM Tech2 Pro Kit. The Opel Tech 2 offers diagnostic functions available for 1992 and newer General Motors vehicles. Tech 2 software is individual for each brand. The Opel Tech 2 Scan Tester is a scan tool for GM and affiliated (e.g., Suzuki, Isuzu, Holdens, Saab, AM General, and Opel/Vauxhall) dealerships worldwide. - Dimensions: 12" x 6" x 2"
-Communications: Integral RS232 communication port. -Screen: 3.8" x 2.8" backlit monochrome with full graphics capabilities: 320 x 240 pixels. Displays up to 9 vehicle parameters at once.